I TRIED TO RUN AWAY right before Valentine’s Day. I sprinted out the front door and catapulted myself into my rusted F-150. My torn duffle bag, filled with two packs of Pop Tarts, leather sandals and a copy of Anna Karenina, sat shotgun. A foot of fresh shag-carpet snow coated the cracked asphalt. The four o’clock sun was setting. My shaking hands cranked the key in the ignition. The truck snoozed on. With my fifth crank it hissed two mechanical gulps. Tears froze to my chaffed cheeks and the polar air stung my larynx. The wind blew the snow into opaque white sheets. The planes were grounded, my engine block was frozen and I was stuck. It was a boy that led me to Fargo. His family had been scattered around the North Dakota-Minnesota border for over 30 years. When it was time for him to rejoin the flock I went with him. They placed bets on how long I’d last. The most generous gave me until November. But autumn had come and gone. I started wearing long underwear after Thanksgiving and two pairs of socks during Christmas. By New Years my bed was made with flannel sheets and topped with five new plush blankets. I’d thought February would mean the end of all that. I was wrong. February in North Dakota is dark and icy and months from anything green. Temperatures teasingly swim up to zero degrees only to swan dive under northern winds. The people know no different there, but I did. Fargo is a community that should never have been. Its nearest neighbors are wheat fields. Winnipeg is three hours north, Minneapolis is three hours east, Bismarck three hours west and South Dakota goes on and on. Roads and space are different there. Urban sprawl ceases a mile outside of town. Gas stations are not a guarantee on the prairie. The growing season is short, the winters are long and the winds are strong; Fargo makes Minnesotans shiver and Chicagoans tug at their coats. It is my personal belief that humans should only live in places where they could exist as animals, meaning au natural. So in my version of the world we should be sipping rum in the Bahamas or lounging in Thai hammocks year round. Any place that requires a jacket would be deemed an ill-suited human habitat. My doctrine would leave such places for the buffalo to roam. However the pioneers and the railroad barons did not consult me on the best place to settle. They built their city on the Red River’s western bank. Perhaps they did so in a temperate spring, innocent of the winter that awaited. Or maybe they founded it with full knowledge of what living there entailed. They did so for the sake wide horizons and the virtue of self-reliance; Fargo is a testament to what a human can endure for his or her home. This place where the people are tough, the winters are endless and the grass still grows wild has inspired the Coen Brothers and Laura Ingalls Wilder alike. Like a fire in the dark vastness of night, Fargo is a gathering place for the people of the plains. Farmers, hipsters, intellectuals and artists all come to Fargo. And the children who grow up there often return or never leave. Locals have friends they can cite back to kindergarten, summer camp and college. Fargo’s sense of community is built upon layers of family and friends kept intact. This is a place where love leads to marriage and children bundled up in miniature down jackets. Kids play tag in the streets and the neighbors’ yards. The whole city celebrates an NDSU victory. Summertime evenings cool off with shandy at park concerts. Winter nights host hot dish potlucks with pinochle. Recent transplants and entrepreneurs have cultivated an urban sense of achievement and innovation unlike other towns of its size. 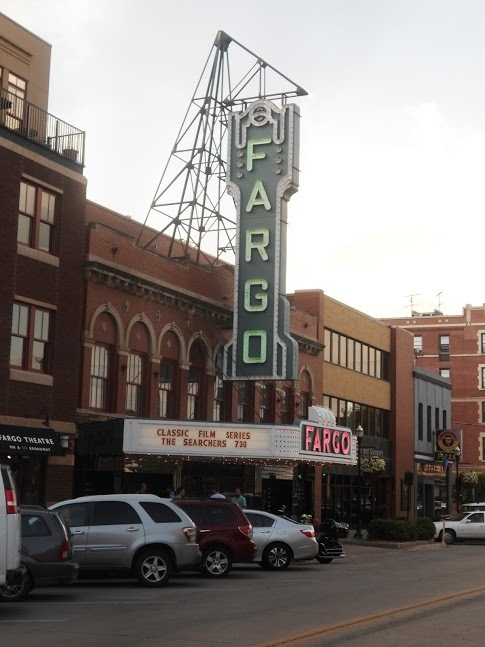 Isolated from interfering influences and competition, Fargo’s downtown has a burgeoning and distinctive North Dakota identity. This identity champions self-reliance, simplicity and strength. Fargo isn’t especially foreign, though. It is a small city/big town, filled with local heroes, backyard gardens and a family-owned shops. Like other American municipalities of 100,000, there are strip malls, pot holes and tanning salons. However, a nostalgic quaintness has been preserved during the long winters. Over and over the locals proudly told me, “You got to be tough to live in North Dakota”. My boyfriend was tough. He framed houses in the polar vortex all winter long. His days began before the sun and ended in the pitch-black evening. Conversely I was more cry-baby than sturdy and light years away from tough. To endure my frigid environment I donned enough layers to resemble a human stuffed Chipotle burrito. The morning after my failed escape, incited by a heated argument concerning the correct way to load the dishwasher and my flair for dramatic exits, I slipped into nylon long underwear, a sweater and jeans. Next I tugged on a college sweatshirt and zip up fleece. After lacing my snow boots I knotted my yellow knit scarf. A down jacket intended for a man three times my size was my waterproof tortilla. It ended halfway down my thigh and could serve as an impromptu shelter for myself and two small children in case of emergency. I finished the look with gloves, mittens and a faux ushanka. With my hood on I was the spitting image of an Abominable Snowman/Darth Sidious love child. No one else dressed this way. They wore peacoats, naked hands and unaffected airs. The next morning when reason returned to me I remembered that my apartment lease was signed through July. The penalty for breaking it was three months rent and no return deposit. Losing that chunk of change would place my finances in the red. So there would be no parole for my remaining five month sentence. My engine block was still frozen, so a friend with a garaged car gave me a ride to work. She took Thirteenth to Downtown. It was the fastest way but not my way. I preferred Eighth Street, the promenade into Hawthorne Neighborhood. During the summer, children ride their bikes and teenagers rollerblade while moms and dads mow the lawn beneath oak canopies. The houses sit demurely on their plots, showcasing porches and sequestering garages to the back. In the evening Hawthorne is illuminated by cast-iron lights. Their bulbs wash the streets in nostalgic butter-yellow. During the winter the canopies are replaced by spindled tree branches reaching toward one another under a pale sky. We turned on Main Street and driving past the train depot turned Park & Recreation office. Downtown Fargo is small enough to explore in a couple hours but still has a progressive feel. There are coffee shops with baristas who know the difference between Peruvian and Kenyan beans, an independent newspaper headquarters, and a pharmacy that serves hot dogs. There is a record store, a skate shop, and at least three barbershops. You can get a tattoo, buy local produce, and find the perfect bike in a one mile radius. Over the past decade of revival Downtown Fargo has earned the title of surprisingly hip. A red light stopped us next to Hotel Donaldson, the movers and shakers’ watering hole that would host a local rap-funk band that Thursday. Next door was Rooters, the late night bar that I always started with because there’s no arguing with two-for-one happy hour. For a place with peanut shells on the ground the interior was surprisingly airy. On Broadway’s opposite side was Fargo Theatre, an authentic art nouveau building recently revived by the community. The legacy venue hosted throwback movies, indie flicks, and silent films with organ accompaniment. A block from the café I worked at is Unglued, a local artisans shop that sells cedar iPhone cases, graphic prints, and gluten-free cupcakes. As she parked I prepared for -24 Fahrenheit. To put -24 into tangible terms, remember that the temperature difference between -24 and 32 is the same as 32 and 88 degrees. The car door shut behind me, my spine tensed and both eyes welled as I scurried over the salted sidewalk. Once through the alleyway door I unloaded my ten pounds of clothing onto the employee coat rack and tied on my apron. My fingers stopped throbbing and I stepped out into the old soda shop turned café. The floorboards were worn, the windows were large and the ceiling was high and tin-tiled. Outside the wind was blowing, inside the coffee was brewed. I grabbed the full pot and began my rounds. Tim O’Connor told me that he’d saved me pancake breakfast tickets for this Saturday because everyone will be there and he just knows that I will love it. Terri and Janet called me their angel as I filled their lipstick-kissed mugs. Megan showed me a phone photo of her newborn in a Valentine’s onesie. And Hank, Fargo’s heroic pedestrian mailman asked me if this is what my hometown is like in February. Not at all. I survived my apartment lease’s contract and convinced that boy to try out my home, southern California. It was not a hard sell. Surrounded by palm tree skyscrapers and corner shop taquerias today, my mind finds its way back to Fargo. My memory glosses over North Dakota’s bitter cold as I let myself miss the snowglobe city. But Fargo is not idyllic. It isn’t Eden, Utopia or a fifties sitcom. It is home to stubborn people and harsh climates. Snow comes quickly and thaws slowly. The locals boast of having the stuff, the chutzpa, the cajones to live there. They revere their secluded homestead as a sanctuary from everywhere else. The Coens’ “Fargo” franchise grapples with what kind of person would choose to dwell in such a harsh landscape, what a lifetime of frozen fingers and near isolation does to a person. 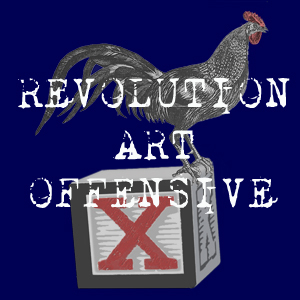 Their narrative comes up with sinister, comical and often inaccurate answers. Fargo’s why is found in the vastness of the prairie and the cheerfulness of the city. And what happens after is a shared camaraderie felt by those who endure but never settle North Dakota. The winter I spent in Fargo, against my own wishes, I was welcomed into their club; a club that knows the lull of humid summer days, the snowstorm’s silence, and very few wood chippers. Kailynn von Kronemann lives on the California coast, where she believes that ordering spinach on your pizza makes it healthier. She has also lived in Australia, studied in the Czech Republic, and backpacked in South East Asia. She also once spent a long weekend in the Middle East. Her work has been published in Morning Glory. This entry was posted in Travel and tagged cold, Fargo, Hawthorne, Hotel Donaldson, isolation, North Dakota, Rooters, travel, Winter. Bookmark the permalink.